This thread is for all squad lists and RPs for the GCF's ninth season of Test cricket. Results will also be posted in this thread. Please only post in here if you have had a Test confirmed on the schedule, or are an approved scorinator. Do not schedule any series in here; there is a separate thread for that. 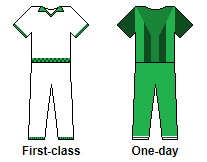 -- An image describing common positions players can field at on a cricket field. -- Types of bowling in cricket. All games will be scorinated by Apox (with some exceptions where Liventia may step in when I am unavailable). The scorinator is the publicly-available ApoxBaller, which includes an option to define pitch/ground modifiers. This allows the host nation of each series to determine the type of pitch the players will play on. Before each home series, can the hosting nation please confirm ground modifiers (from –6 for a pitch that suits bowlers to +6 for a batting paradise) for each of the Test matches they will host for the series. Not doing so will indicate acceptance of the ground modifiers being 0. Last edited by NS Global Cricket Federation on Mon Feb 18, 2019 6:17 am, edited 8 times in total. The poster behind this is almost certainly Liventia or Apox, the current de facto GCF co-presidents. 2. Tests should not be scheduled for scorination on consecutive days, reflecting the measured pace of Test cricket. 3. Each nation may have at most one Test scheduled per scorination period. Determination of home ground is up to the nations who agree to play. 4. Nations are strongly encouraged to schedule series of two or more consecutive Tests with the same host nation instead of one-offs. Nations are strongly discouraged from playing home-and-away series or two or more one-offs in the same season with the same opponent. One-off Test: Any Test not part of a series. One-off results are added to ratings of Full Members and Associate Members immediately; for Candidates the results are held until qualification for Associate Member status and then added in. Series: Two, three or more consecutive Tests between the same parties and played in the same host nation. Results for both the series and all constituent Tests are added into ratings only after the series is complete. Match: All Tests and all series are considered matches. A one-off Test is one match. A two-Test series is three matches; a three-Test series, four matches. Full Member (FM): A nation calendared in the current Test season that has accumulated 10 or more matches, counting this season and the most recent completed season, and is not an Affiliate Member. Associate Member (AS): A nation calendared in the current Test season that has completed at least one series but does not yet meet the standard for Full Member, and is not an Affiliate Member. Affiliate Member (AF): A nation calendared in the current Test season that has completed at least one series, but has not been allowed to schedule more than five Tests due to roleplaying restrictions. Affiliate Members can be promoted to Associate Members; once Associate Membership is obtained, the nation will retain Associate or Full Membership permanently while active. Returning Associate or Full Members will start at Candidate level, but bypass Affiliate status once the appropriate criteria are met. Candidate (CA): A nation calendared in the current Test season that has yet to complete a series. Competitors in the most recent complete season that have not calendared in the current Test season are coded IN for Inactive, or CE if their federation has Ceased to Exist. Records are maintained for a possible return to activity. 6. A Candidate has a rating of 100 for all purposes. 8. When rating one nation in a series, if their opponent is rated more than 40 points higher/lower at the start of the series then treat that calculated rating as exactly 40 points higher/lower instead for purposes of this formula. 9. The rating points earned by one nation in a series (or a one-off) equal the opponent's calculated rating times the number of matches, plus 50 times the number of matches won, minus 50 times the number of matches lost. Example: Four-Test series, A (rated 125) in B (rated 75). A wins Tests 1 and 4, B wins Test 2, and Test 3 is drawn. A treats B as if rated 85, and gets (85*5)+(50*3)-(50*1) = 425+150-50 = 525 rating points. B treats A as if rated 115, and gets (115*5)+(50*1)-(50*3) = 575+50-150 = 475 rating points. 10. A four-step procedure is used to update ratings. a. Add the rating points for each nation to their previous total. b. Add the number of matches played to that previous total. c. Divide the new rating points total by the updated number of matches to get an updated calculated rating. d. Average the calculated rating with the required constant, producing an adjusted rating correct to two decimal places for Full Members and rounded towards 100 for Associate and Affiliate Members. 11. An Associate or Affiliate Member whose calculated rating is above 100 averages the calculated rating with 90, rounding towards 100; an Associate or Affiliate Member whose calculated rating is below 100 averages the calculated rating with 110, rounding towards 100. 12. All Full Members average their calculated rating with 100, for their adjusted rating. 13. Ratings are based on data from the current season and and the two immediately preceding complete seasons. At the end of each season all older results are purged and ratings recalculated accordingly. 14. League points will be awarded as follows: 16 points for a win, 9 for a tie, 5 for a draw, an additional 4 points for a first-innings lead or 2 points for a first-innings tie, 1 bonus point for a win by 10 wickets or an innings. 15. To account for the different number of matches each team may play, the final total – not including bonus points – will be averaged by the number of matches played. This does not include series (unlike when tabulating the rankings, which do count series as matches). Bonus points are to be added after the average. Teams tied on points shall not be separated. Last edited by NS Global Cricket Federation on Mon Jan 21, 2019 2:11 pm, edited 2 times in total. The Selection Committee of the Darmeni Cricket Board has announced the eighteen player squad that will contest the 10th GCF Test season. Once again, Captain Sigmund Winter will lead the Darmeni team as they look to defend their status as World Champions after defeating Ko-oren in the final of the World Test Championship. The core of the team's batsmen have returned from last season, while among the wicket-keepers, Justin Beckett has finally asserted himself as the preferred backup to Adalfuns Armbruster. Domenic Gardenar will take over as Darmen's leading all-rounder following the retirement of former captain Gwynn Milford; the 27 year old from Chad City Cricket Club will have some big shoes to fill in doing so. The only new addition to the team comes in the form of Normand Seeger's replacement, 28 year old pace bowler Piers Frank. The DCB will announce venues for the home series against Apox and Eastfield Lodge at a later date. RP Permissions: No killing, or serious life altering events, but otherwise have fun. Center-right Christian Democrat. Supporter of the Seattle Sounders. Cup of Harmony 51 & Copa Rushmori 13 Champions! World Baseball Classic 25 Champions! World Baseball Classic Hall of Fame Member! Schiltzberg wrote: You should do a love stream on skype or something. That would be exciting. Frieden-und Freudenland wrote: Time to fund some public hair-design salons. Colonel Darmen of the International Geese Brigade - Celebrating 0 Radiation and 3rd Place! Currently Ranked in the Top 500 of Challenge | Look at that deck! Trajan Muldoney and his band of merry cricketers return for another GCF Season, the squad hoping to rediscover some of their previous good form and have a good showing this time around. Jeff Zanzala returns to smash and grind down opposition in the name of accruing massive amounts of runs, as the bombastic hitting talents of Trinity Southwold are withdrawn, Southwold playing limited overs cricket only at this level. Joining him at the top of the order is promising young Hamish Gaaraayi, who impressed in the World T20 Championships, in an otherwise disappointing tournament for Apox. The captain, Trajan Muldoney remains at third to anchor down the order a little, ahead of the slightly more mellowed but still aggressively minded Nancy Washington in the order. Organa Arrowsmith and Oberon Jessop are slightly more balanced players further down the order, who aren't afraid to swing the willow if required, and both excellent technical batters in their own rights. Ezra Girard, the unquestioned best keeper in Apox right now, returns to the first team, his style of play being somewhat more suited to the longer form of the game. The tail is really just that, with Rachel Gallegos being the only one who you'd say "could bat a bit", with Tara Kakketa, Jo Frost and Roy Hamilton-Randall all largely being dreadful batters. However, the Apoxian bowling line-up is very strong with them in the team, Hamilton-Randall continuing to be sometimes unplayable with his deliveries, able to swing both ways and not afraid to mix things up a bit. Elsewhere in the squad, Kyriana Lupiter had an impressive World T20 batting performance, and remains a good backup keeper in the squad. In fact, don't be surprised to see her in with a shout of featuring in the team simply as a batsman. Keswick Dhawa continues to knock on the door for a starting role, and expect him to be rotated in around the other three quicks as well. The batting talents of Jak Dickson and Polly Brookham are also not to be ignored, so they could very well get a game or two as well this tournament. Finally, newcomer Richard Barnehage is in the squad as the backup spinner - he might well get game time on pitches that favour spin, after an impressive ACCT season which saw him take 68 wickets all told. Last edited by Apox on Fri Feb 01, 2019 7:59 am, edited 2 times in total. The list below is a list of players retained by the Plough Islands Cricket Association who have their training fully subsidised by the government (similar to Soviet bloc state-sponsored sports, but minus all the drugs). Essentially it's a list of 'core' players; people from outside this list can also be selected for matches and if so they'll be introduced in the RP prior to that match. 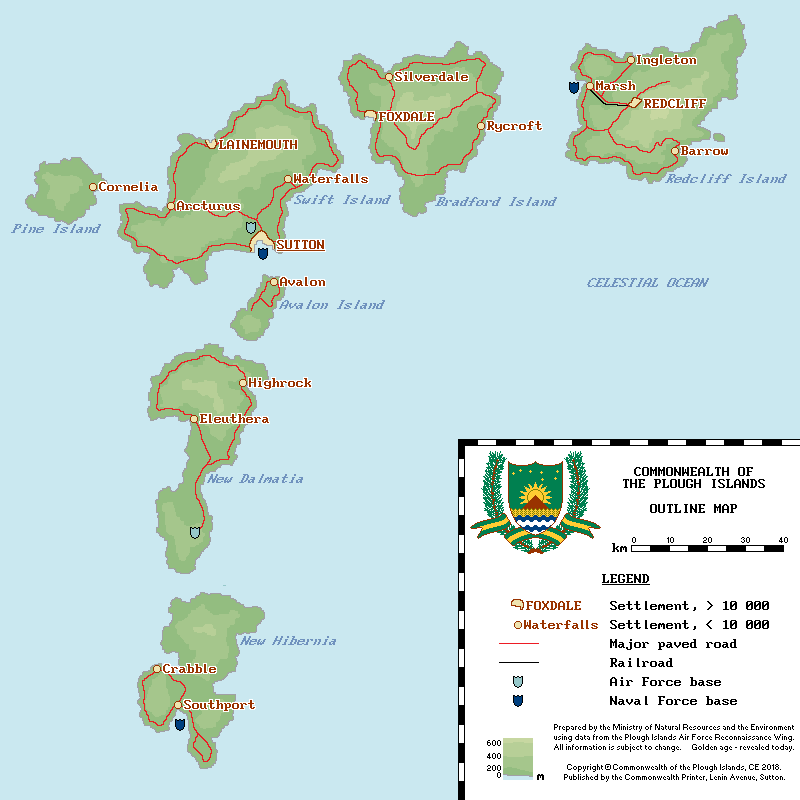 Further background information on the islands in general is available from the links in my signature; if you need anything specific, feel free to ask via telegram or Discord. Information on the cultural place of the sport in the islands' psyche and how cricket mad we really are - spoiler alert; it's a lot - can be found in these posts from previous tournaments. The Global Cricket Federation today announced the preliminary schedule for the 2019 Test season from its offices in Apox, with the Plough Islands scheduled to play twelve Tests between now and March. The preliminary details were subsequently confirmed by Cde Premier Dale Piper, in his capacity as President of the Plough Islands Cricket Association, speaking this morning in Highrock; "We are grateful, and certainly I personally am, to the Global Cricket Federation and to the governing associations of Teusland, Elejamie, Apox, and Ko-oren for the friendship and co-operation they have shown our country, and it is with great pleasure that I announce a full Test cricket schedule for 2019. I am sure all Plough Islander cricket fans will be as delighted as I am with this news." The Premier also confirmed that lotteries have opened for the first Test against newcomers Teusland to take place at December Park on the 21st of January. Away from the field, preparations have continued for the upcoming season, but not without some small signs of discontent for Kevin Laing's team. The fallout continues to settle regarding the release of the Association's list of retained players for the 2019 season; while the exclusions despite their performances of spinner Kenny Cunningham (owing to his long-term back injuries) and teenage batsman Rory Aliyev (who has ongoing educational commitments) were expected, others were more contentious. The discontent over Adam Kalantas' exclusion has been played out unfortunately publicly, with the Redcliff batsman telling this author that "they have gone back on what they told me [...] fifteen years of playing cricket and the rot only makes itself known at the top", although a source within the Association pointed to his indifferent form and the existence of other middle order options in island teammate Arthur Donovan and New Dalmatia's Alec Fedorov as the main reasons. For his part, Laing downplayed any effect on his preparations, and was philosophical as ever; "it happens, and the fog of fury always becomes mist on the breeze. All we can do is try and settle ourselves for the Tests, and that is what we will do". 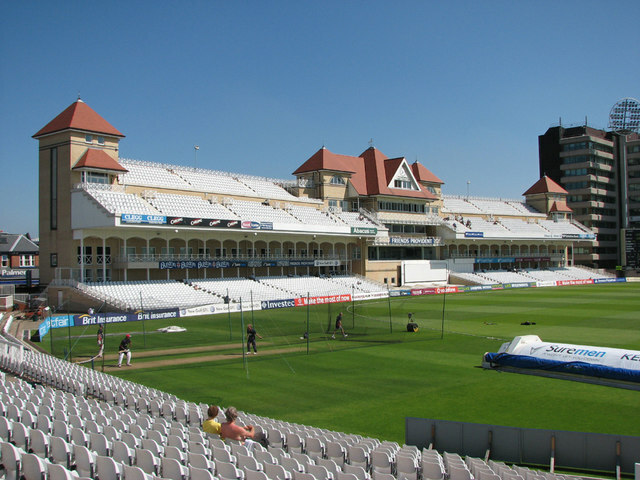 In contrast to the squad announcement, the reaction to the schedule has been almost universally positive, with a full programme of Test matches secured in advance; three of the four scheduled series will be played on the islands, and with the redevelopment of the Southport Athletic Club complete, all six cricket boards will host at least one Test. Teusland - making their test debut in the Plough Islands following an upsurge in interest in the maritime republic - will be the first visitors, playing two Tests on the back of a promising campaign in the 20-over world championships, followed by the Foxes' last-over vanquishers at those same championships, Elejamie, later in January for a series of three. There then follows a three-Test tour of Apox to renew acquaintances from last year, before a return home to welcome our friends and rivals from Ko-oren for a four-match series to mirror the fateful one played on their shores. With there still being ample time before the teams come out at December Park, if Laing and coach Lourens Hendricks can put any unease around the retainment list to bed - with the option always open to call up players outside that elite group - then the scene is set for an exciting second season of GCF cricket on the islands. The team are undoubtedly guaranteed the most passionate and unconditional of support from a hundred and forty thousand Foxes, this author among them, and further updates will be brought to you as the season progresses through these pages and live on Plough Radio. For fans of elite cricket, the golden age was - once more - revealed today. Teusland is not a name followers of international cricket will have been familiar with over the years, but the sport has a surprisingly rich history in the republic; first introduced around the late 1700s by sailors of the Teus Navy who brought the game back from their travels, the sport spread rapidly inland and even became an early symbol of the Teuslander 'enemy' to the warring Siovanijans with whom the nation eventually united during their colonial wars in the early 19th century. Becoming as intertwined with the Teuslander identity as much as it became to our own, there is more similarity between our two nations than will be apparent at first glance at December Park. The Teus Kricket-Verband (TKV) made their international debut during the last 20-over world championship, with Konrad von Sauerland's team impressing with their methodical and careful approach, which won them a famous victory against #1 ranked Test team Liventia. Ultimately they endured a rough tournament aside from that performance and failed to reach the group stage, losing out to Elejamie and Mughals royal - both of whom are familiar to Foxes fans from the same tournament - but the relatively cautious approach to batting that let them down in the shortest form of the game could yet benefit them in the longest. The Edelweiss benefited from renewed public interest in the game during the competition, however, which is believed to have spurred the TKV into affiliating with the Global Cricket Federation and seeking to join the Test calendar, and though our two nations may be very different in background and philosophy, we can both share in an authentic love for the sport. Teusland will be a tough opponent, especially for a Foxes team just awaking from their hibernation, but regardless of the action on the pitch, there is a sense that new friends will be made off it. The Liventia Cricketing Board of Authority has announced its 23-man pool for the tenth Test match cricket season. It consists of a 14-man central contracts list and a further nine men who hold supplementary contracts, and will form the basis of the Liventian squad for its Test matches this season. With Matthew Geach retiring — then becoming the team's T20 coach and criticising the ageing nature of the squad, a revamped three-man selection panel has selected a number of new faces. Left out of the team are Zac Owen, who never really cracked international cricket, Alex Williams, Duncan Lewis, and the retired Geach, Garland Goudreau, and Daniel Quinn. In their place, six new players aged 21 or under have been called up to the squad, including 21-year-old Ryan de Cerci, who bowled Liventia to the semi-finals of the last World T20 Championship. James Quinn and Dylan Hennessey, now 34 and 35 respectively, have been downgraded to supplementary contracts. Hennessey has also voluntarily given up the vice-captaincy. Living legend Max Finney remains in the side aged 37, although it appears likely that he will be used in rotation with James Quinn, opening up a spot for Peter Finch to make his own. Ollie Kerr remains captain of the team, one of five players in the 23-man squad aged 33 or older. - If bowling, the opposition batsman is someone else has made at least 50. If you RP first and create a scorecard, I ask that you also do one for my side. Please don't kill any of my players, and serious injuries should be discussed with me beforehand. Retired hurts are fine, within reason. The Decision Review System is in use in all Liventian home Test matches. These include lbw ball-tracking, an audio edge-ometer, and a video hot-edge replay. Last edited by Liventia on Sat Feb 23, 2019 12:52 pm, edited 5 times in total. The Islands #1 News Source! LAKISKA, SOUTH ISLAND- The Busoga Islands are taking their place on the international stage as an independent nation. Being independent for a few years now, they've established a presence in some sports in the international scene- particularly soccer, where they reached the knockout stages of Baptism of Fire 68. Of course, in cricket, they made some waves by assuming all of Banija's cricket history, which only made sense, considering basically all of Banija's cricket talent and fandom was in the Busoga Islands in the first place. And now, the Islanders are taking their place on the global stage in cricket. The Busoga Islands Cricket Board is making known its effort to join the ranks of international cricket- aka, becoming a full test member of the Global Cricket Federation. Of course, it is a long process, and it is something that will likely take a number of test seasons for the Islanders to get full test status. However, you must start somewhere, right? When the Busoga Islands, then as part of Banija, host the World T20s, the nation showed that it has a vibrant culture, and longs to be somewhere near the top of the mountain. The President of the Busoga Islander Cricket Board, Abdul Farooqi, explained it in a press conference announcing the Cricket Board's intention to send a team for the upcoming test season. "Cricket is a sport with a rich and wonderful history in this country, one that is only going to be enhanced by our nation's independence." He told reporters. "We believe that there is an urge among sports fans in our country for us to pursue, for the good of the game, and it's development and growth on these islands, we are going to take the steps necessary to improve this country at one of our favorite sports- the sport of cricket." "That is why we are taking steps to schedule test series, to begin our entry into the Global Cricket Federation. I am proud to announce that we have two scheduled matches so far, and we are confident of our ability to schedule going well into the future. We are going to host the nation of Sanjur, also a new entry into Test cricket, on the first pair of matchdays of the Test Season. 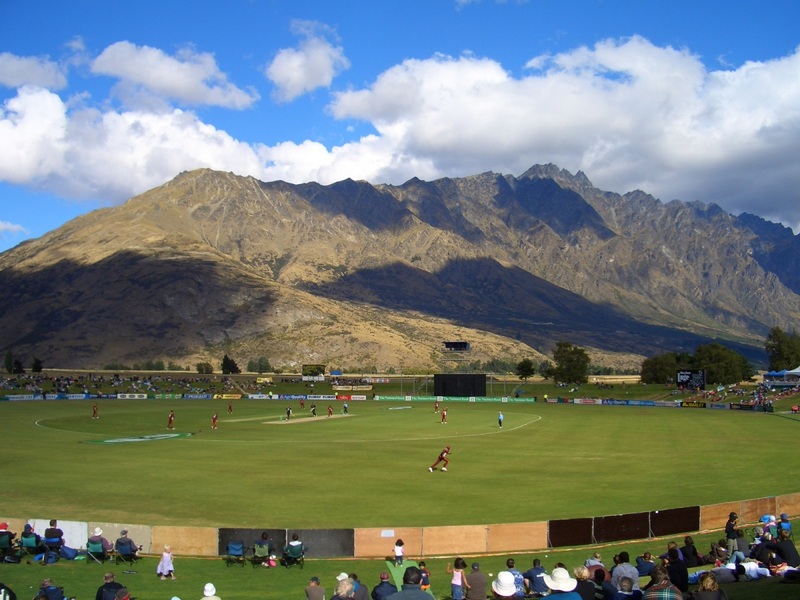 On Matchday 1, we will be playing at the Kabaka's Cricket Ground, here in our nation's capitol on the South Island, in front of 54,000 screaming Islanders. 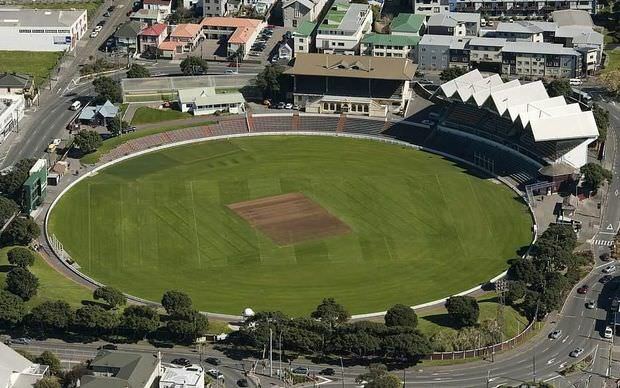 And on Matchday 2, we will be playing at the Dukuma Oval, on the North Island, in our nation's largest city. There, we will expect 63,000 fans to greet us and our entry into test cricket." "That is what we have scheduled for now. But the scheduling period is far from over, and we hope to let our boys do some travelling, as myself and the rest of the cricket board are working, around the clock, to schedule an away series. WE are confident that we will have the ability to do so. This board is acting in the best interests of the Busoga Islands cricket fanbase and cricket talent, and we will continue to take the necessary steps to grow the game on the Islands. That is all for now." And Farooqi, without taking questions, then left the stage. His spokesman came after him, and said that the management and coaching staff would be selected soon- probably 3 weeks before Matchday 1. The spokesman told reporters that the Islands would be conducting a 'thorough player search'- meaning from the universities, from Islanders in the diaspora, and wherever they can find the talent. Furthermore, he did confirm that the Board is working on a Five Year growth plan for the sport on the Islands, to be released right before Matchday 1 of this Test Season. There you have it! Make sure to subscribe to the Busoga Chronicle for all things cricket on these Islands! The Darmeni Cricket Board announced its choice of five venues to host Darmen's six currently scheduled home Test matches against Apox and Eastfield Lodge. The DCB is still attempting to secure an opponent for a further two match series it hopes to host. Darmen will open the season with a three match series against Apox, the opening match to be held at the Tempala Cricket Ground. Capital Stadium in Scott City will host the second match, before the teams will head south to finish the series at the Brham Municipal Ground. This is the second time that Darmen and Apox will have met in Test cricket, Apox winning the first series 2-0 (1 draw) in Season 3. Darmen will then travel to Liventia for the second Test series between the two nations, comprising four matches. Liventia dominated the series at home, winning both matches comfortably in Season 3. Darmen's second foreign tour of the season will occur in Ko-oren, as the Darmenis and Green & Blue's continue their good natured rivalry from last season. Darmen won both series last season, including the Final of the World Test Championship, and the three match series will hopefully see some excellent cricket played between two familiar opponents. 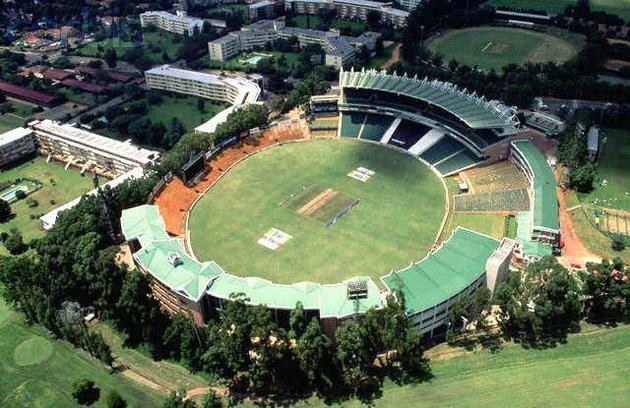 It is rumored that the tour of Ko-oren may also include one or more unofficial ODI's, although an exact number of matches has not yet been reported. To finish the season, Darmen will return home for a three match series against Eastfield Lodge. The series will open at the Lime Tree Ground in Chuckio, before the Capital Stadium hosts its second match of the season. The season will conclude for both teams at the 15,000 seat Academy Stadium in Bloomer, a match the DCB hopes can be held under Day/Night conditions with the pink ball. 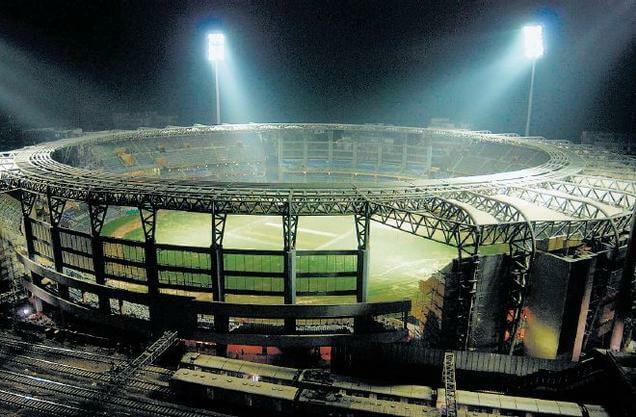 The DCB attempted to host a pink ball match last season, but difficulty securing agreement from the cricketing authorities of the Kiaser Colonies and problems finding adequate temporary floodlights to erect around the Capital Stadium doomed those plans. The DCB's announcement means that both the Brady City Cricket Ground and Liverpool's Larunda Gardens will not host matches this season after doing so last season. However, the DCB have hinted that Brady City will likely host a match if the board is successful in finding one more opponent to fill out Darmen's schedule. Probably the most modern of the cricket grounds in Darmen, the state-of-the-art Academy Stadium is one of only a handful of grounds in Darmen to feature permanent floodlights. The match to be held here against Eastfield Lodge, possibly with the pink ball being used, will mark the Academy Stadium's first time hosting an international fixture. The majority of the seating is located on grass berms that surround much of the playing field, but the opportunity for fans to spread out on a blanket and have a picnic while watching the cricket is greatly appreciated by those attending the matches. 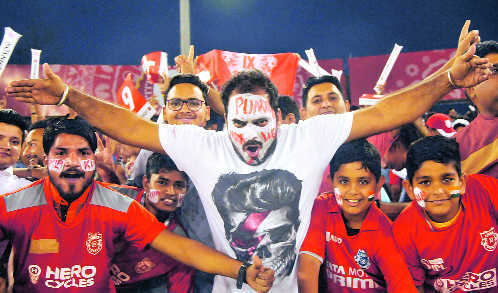 The atmosphere can get especially rowdy during T20 matches, causing some to postulate that the lack of fixed seating may prove to be a safety concern. The outfield may have a few patches that look a little thin, primarily due to the dry conditions experienced in Bloomer. Those same conditions also cause the pitch to deteriorate just a little faster than might be liked, and spinners will be glad when they can take advantage of the cracks that appear, sometimes as early as the afternoon of the second day. The groundsman and his crew will attempt vigorously to delay such an occurrence as much as possible, but success isn't guaranteed. While the National Team might not have the greatest of memories playing here, the DCB hopes that the innings loss to Ko-oren during the World Test Championship can be forgotten with a victory over Apox. The Municipal Ground is currently the smallest of the grounds guaranteed to host Darmeni Test cricket this season, but a sellout is almost a certainty. An occasional shower may put a temporary stop to proceedings, but clear skies should be the norm. Nicknamed the "Iron Pitch," the Brham pitch is renowned for its ability to hold up over the course of a five-day match. Batsmen will be salivating to set some high scores here, with Ko-oren's 660 for 4 from 143 overs setting the example as the highest innings total set at the ground. That innings could very well have gone on for another 143 overs if Ko-orenite captain Herschel Marsden hadn't decided to declare. Even Darmen's innings totals were respectable: 312 & 320. Bowlers must be patient and wait for the right opportunities to take wickets. The site of Darmen's most important Test match in history, its 72 run victory over Ko-oren to win the World Test Championship in Season 9, the Capital Stadium is now widely considered to be the "home" of Darmeni cricket. As such, it has been selected by the DCB to host matches in both series against Apox and Eastfield Lodge. While the seats in the covered Grandstand and Pavilion are highly sought after, most so called "true" fans consider the berms the place to be. During rush hour, the close by traffic can either provide an excellent atmosphere or prove to be extremely annoying. A balanced pitch that allows for both batsmen and bowlers to excel, matches at the Capital Stadium can be some of the most exciting to watch. Keen fans will remember that Darmen and Ko-oren ended the first innings of their historic match here tied on 290 runs each. The Scott City weather will be warm and dry during the day, but an overnight thunderstorm could possibly turn the outfield into a wet mess. Caught halfway between being your typical quaint rural ground and an upscale modern urban sporting venue, the Lime Tree Ground has been accused of having an identity crises. Regardless, the fans who show up to the Chuckio Cricket Club matches held at the ground do a fantastic job of creating a festive atmosphere. The DCB hopes such an atmosphere can be recreated for the Test match against Eastfield Lodge. It will be the first test match held in Chuckio, indeed the first in any southwestern municipality. Just like the Capital Stadium in Scott City, Chuckio's wicket is well prepared by its grounds keeper. The opening batsmen can be particularly confident that there won't be any weird bounces at the start of the match. Bowlers will have to wait their turn before the wickets start falling, but once they do, the possibility of them falling in quick succession is high. Tempala Cricket Club has hosted an Apox vs. Darmen match before, way back in Season 3 as the two sides battled out to a draw. Compared to some of the other Darmeni grounds, the atmosphere in Tempala will be rather subdued. Fans are most likely to relax with some tea or a glass of scotch, watching the match in relative quiet, with polite applause replacing loud cheers. Nonetheless, Darmen has had an excellent record playing in Tempala, with victories over Barunia and Ko-oren being particularly memorable as well as the aforementioned draw with Apox. We'd rather not talk about that innings loss to Macquarrie at the end of Season 5. Is it the wind? The sun? The occasional Aussie rules match? Some spooky ghosts? A poor grounds keeper? No one is quite sure, but batsmen hate playing in Tempala. Any batsman who can reach 100 runs can go away quite pleased with themselves, accomplishing a rare feat. Meanwhile, any bowler who doesn't take at least two wickets has missed a fantastic opportunity to pad their career stats. Last edited by Ko-oren on Tue Feb 26, 2019 2:38 pm, edited 6 times in total. After a honourable international debut at the T20 World Championships in Ko-oren, the Teuslands Kricket-Verband have decided to join the ranks of Test nations worldwide in the Global Cricket Federation’s 10th season of competition. Teusland is currently considered to be a Candidate member of the GCF, and the stated goal of the TKV is to achieve Full Member status during the Test season. Cricket is one of the oldest sports in Teusland, and has a long and rich history in the nation. It has never been one of the most popular, however, and is a distant third behind hockey and football in terms of popularity. The T20 World Championship campaign, however, brought some popular interest in the squad, and particularly the shock victory over cricketing giants Liventia engaged fans with the team. Test cricket is a different game, however, and one that could suit the more cautious Teuslanders well. The 18-man squad selected for the Test season comes from the ranks of the 8 clubs competing in the All-Teusland Cricket Championships, the most recent champion of which was the Sankt Kunigunde Cricket Club. 2 players that competed at the T20 Championships will be on this team as well, Konrad von Sauerland, the captain, and August Tausche. When the Teusland test cricket side takes to the field at December Park against the Plough Islands for their first international match, it will be the culmination of much hard work to get to that point. “It’s been a long road,” commented Teuslands Kricket-Verband Director David Mach. “Lot of long nights to make sure everything is in order.” The TKV has hoped for many years now to join the ranks of the Global Cricket Federation and its affiliated championships, and that dream was first realized at the T20 World Championships last year. “We had a good showing, I think. For a starting nation, you can’t ask for much better than we did. And we got exactly what we wanted, which was more people taking notice of the sport and the team back home,” said Mach of the event. Now, Teusland will debut on the international Test stage for the first time, and that’s a whole new ballgame. “It’s a longer game. The match can last for several days. Also, in T20 cricket, the batsman can be more aggressive, while the Test game allows you to be a bit more cautious,” Konrad von Sauerland told the Zeitung about differences between the two forms of cricket. “I think that’s going to be a benefit for us, that patience that you need,” added the skipper. Von Sauerland captained the national team at the T20 World Championships, and will also lead the nation during Test matches. Von Sauerland is also captain of the Kaiserliche Cricket Club, located in Stelburg. With a rich history dating back to the Teus Empire, Kaiserliche has always been one of the foremost cricket clubs in the nation. In the recent All-Teusland Cricket Championships, however, they came up just short, losing the final to the Sankt Kunigunde Cricket Club. “It wasn’t our best effort, let’s just say that,” comments Von Sauerland. Sankt Kunigunde, a small fishing town on the northeastern coast, is one of those areas that is a hotspot for cricket in our nation. Bowler Elias Lehner, considered by experts to be the best of the best in our nation, comes from Sankt Kunigunde. He won the Most Valuable Player award for the ATCC, and is expected to play a major role on the national team. “I just liked the game,” he says when asked why he stuck with cricket over the more lucrative, in our nation at least, hockey and football. Despite an offer to join FC Rotmunde 1932’s academy, Lehner continued to play the sport he loved. “It was what I loved to do, and nothing was going to stop me.” It’s obviously worked out for Lehner, who has become one of the more recognizable cricketers in our country. TKV boss David Mach hopes more people will follow Lehner’s example: “For many years, we lost a lot of young players to hockey teams or football teams. There’s just more money in it here, so they have to make a choice. Competing on the international level allows us to expose the sport nationally beyond just the traditional strongholds, and allows those kids that have to make a choice to say, ‘Hey, I can go pretty far with cricket as well.’” The upcoming Test series against Plough Islands should provide a perfect launch pad for that, with the matches to be broadcast nationally on both RepublikSport and the STBC Sports channel. 18,000 seat December Park in Sutton will be the site of Teusland’s debut in the 2-match set. Then, after a short break, the Edelweiss will play host to Ko-oren in a 3 match series to be played at home. Full venue details have not yet been officially announced, but it’s expected that matches will be hosted at the Kaiserliche Cricket Club, the Sankt Kunigunde Cricket Club, and the St. Jakob Metropolitan Cricket Club. After these first 5 test matches, Teusland’s status as a Test nation will be reviewed, and it is possible more matches could be scheduled. The TKV, and the national team’s players and fans, are certainly hoping this season will prove fruitful for the Edelweiss. We’ll be here to cover every step of Teusland’s grand debut on the world stage of Test cricket. Sajnur enters the Test Cricket stage! The Chairman of the Sajnuran Cricket Association, Aron Kalio, has announced that Sajnur will start its foray into Test Cricket with a two match series in the Busoga Islands, starting from the 21st of January. 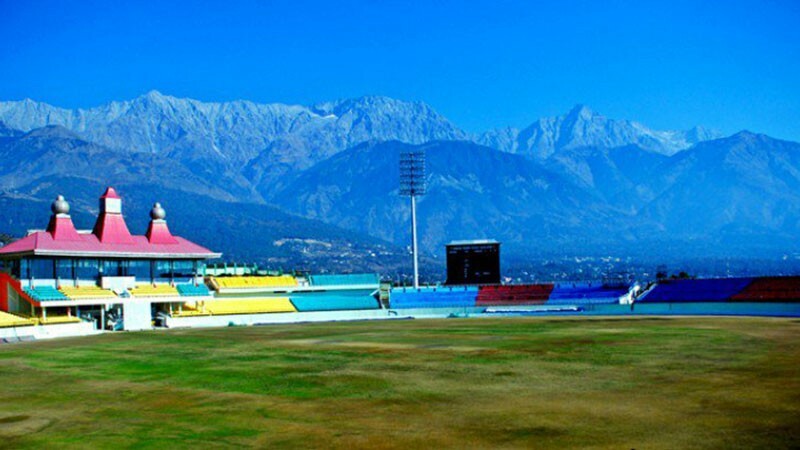 While cricket in Sajnur does not have the history it does in the Basoga Islands, and the interest has been expectedly been toward the shorter T20 and One Day formats, enough interest has been present for Sajnur to hold its very own first class competition, which has since produced most of the touring Test team. "Cricket has received a wonderful reception in this great country of ours over the last several years, and I believe the infrastructure that we have built over this time is now ready to send out an international standard team to the world. I hope that the people of Sajnur will tune in on TV and watch the fruits of our labour on their adventure to the Busoga Islands. If this series is a success, we hope to schedule yet more matches this season. We may even see cricket on the shores of Sajnur." The sport of cricket is new to Sajnur, and indeed the country does not have much pedigree in any of the international sports, with most of the interest in motor racing and Sajnuran football. However, the post-war period has seen a resurgence for Sajnur, both economically and in the sporting sphere, and this has especially been evident for cricket, a sport with little following before the Great Wars. The country's first class league was established only a few years ago, but has produced some significant talent that coach Raije Teljo hopes can beat the Busoga Islands. "I have seen Sajnur's finest cricketers, both in the league and even abroad, and I have seen them do wonderful things! I sincerely hope the team we send out can replicate those feats on the international stage." The Sajnur squad for the tour will be announced soon, as will the matchday squad to play at Kabaka Cricket Ground. Here's hoping for those wonderful things! And so Test cricket returns to our country - and airwaves - once more, following a relatively peaceful winter during which the Plough Islands Cricket Association have had plenty of time to become used to holding a place among the top tier of Test teams. With the highs and lows of last season having taken the Foxes to a new level, there is a reasonable amount of pressure to live up to, made all the more difficult by the slightly early start to the season - with the Harrison Cup not set to start until March, a few players will have had a shorter holiday, and therefore less time to recharge, than has been usual over the last few years. After the minor furore over the retainment list, the mood within the squad is reasonably settled; Kevin Laing will have insulated his players well from any negative intrusions, and his focus will have been on regaining any match fitness lost over the winter. It is very likely that Sarah Ashe will play; the New Hibernian having made an extremely good impression on coach Lourens Hendricks and the selectors during the 20-over World Championships in Ko-oren, and the combined bowling attack of the Foxes will rarely have been stronger or more diverse for the addition of her off breaks. However, there remain concerns over the batting lineup, with no fixed arrangement yet for the middle order, and if opener Matthew Davy and talisman Shauna Weaver feature, this author understands it will be solely on the basis of training with neither having played competitively since October. Hendricks freely admits to a degree of uncertainty, but sees the upcoming series as a positive; "There's no substitute for getting out there and playing. Ja, we might be a bit rusty at first, but you have to go through and get that out of your system, and once you get back into the rhythm the runs can start to flow. Teusland have a good young team as well and they will have the same issues, not to mention an unfamiliar climate, so it's hopefully good for both of us, you know? We want to go in feeling positive." This will be a necessity against an eager and determined Teusland team, whose cricket board's head David Mach has been bullish about his team's chances. Fast bowler Elias Lehner - born and bred in one of the coastal Teuslander sailing towns where cricket continues to thrive - has a considerable reputation from within the domestic club competition, and will likely prove the main threat with the ball. Lehner heads a Teusland bowling attack focused primarily on unfamiliar pace and swing, with the only departure being leg spinning all rounder Simon Riedl, and it will take focus from the Foxes if they are to make it through the first few overs. With what is almost certain to be a capacity December Park crowd willing them on, though, Laing's team will be almost certain to give a good account of themselves, even if it may take them a while to get going, and the collective well of experience the team have to draw on could well prove vital against new opponents. Myself and Andrew Kulayev will be there from eight o'clock in the morning to let all of you know how the first Test match of 2019 unfolds. The first Premier - and founder of his country - Cde Gabriel Sutcliffe requested on his deathbed that if there was to be a statue or effigy honouring him, it was to be realistic and down among his people, not towering high above them; here, on a bench with empty seats on this quiet corner of Sutton's docks, you can sit and look out over the sea with the Plough Islands' first Premier. Surrounded by a small collection of similar monuments to the country's other leaders - with every Premier represented, beyond the obvious representatives of Cdes Sutcliffe, Janne Elkkonen, Janet Highland, and Steven Douglas - and its guiding ideology of Marxism-Leninism, this is as close as the Plough Islands come to having a Lenin's Mausoleum or a Kremlin Wall. The seat of British power during most of the first 210 years of the country's history, Sutton's Georgian-era Government House now serves as a secluded museum primarily dedicated to its most recent occupant, Sir Richard Brooke-Davies. Shunned by his masters for negotiating the country's independence with the communists, but held in a quiet respect by Socialist leaders for the very same thing, Brooke-Davies' archive is held here, with other exhibits showing a general history of the islands under colonial rule - highlights of the collection include the figurehead of Captain Cornelius Sutton's sloop the Artemis (the first modern human artifact on the islands) and the chair, microphone, and transmitter Cde Sutcliffe used to formally proclaim the islands' independence. Last edited by The Plough Islands on Sun Jan 20, 2019 12:25 pm, edited 1 time in total. FOLENISA— Liventia's return to Ko-oren just months after falling short in the World Twenty20 Championship brings with it the intrigue of a new Test season, one that promises to produce new Test stars after the selectors called up six new players to the contracted squad. The new season begins at the Greencaster Oval, a ground the Red-and-Gold are familiar with having been based in Greencaster during the previously-mentioned Twenty20 tournament. The second and final match of a short two-game set will take place at the Royal Oval. A 16-man touring squad has been selected from the pool of 23, with the big news being the exclusion of 34-year-old opener James Quinn from the side in favour of 37-year-old Max Finney. Three of the squad — Finney, Dylan Hennessey and 21-year-old Ryan de Cerci — hold supplementary contracts, meaning the unlucky Brad Kerr, younger brother of captain Ollie, is the one central contract holder to miss out on the tour. All three spinners in the contract pool have been included in the side that will travel to Ko-oren tonight. Bowling notes: JPK Adams (LF), SV Finney (RF), RJ MacMaster (RFM), and OH Kerr (LMF) are the pace options. Kerr will avoid bowling himself unless the team are struggling for wickets. Two spinners have been selected in MEP Goudreau (LS) and RPT de Cerci (OS), who will eat the bulk of the overs on a turning pitch. DA Hennessey and MA Finney will help with spin if needed, but they are unlikely to be called upon at their current age. Last edited by Liventia on Sun Jan 20, 2019 4:49 pm, edited 1 time in total. * There was a minor error in the rankings regarding Ethane's rank. The published ranking points of 1489/13 are correct, but when calculated, Ethane's rank is actually 114.54 giving an adjusted rank of 107.27. The correct ranking was used in scorination, and the ranks in the OP will be updated to reflect this. Last edited by NS Global Cricket Federation on Mon Jan 21, 2019 2:07 pm, edited 1 time in total. Welcome back for more Test cricket! After last year's resounding success, the Ko-orenite Cricket Association has decided to sign up the national team for more international Tests, which should come as a surprise to no one. Between the immediate action taken by the KCA to fill the schedule and expanding the domestic First Class competition from five to ten rounds, it is clear that the KCA is going all-in on cricket's popularity in the Dragonfly Archipelago. Cricket has received a huge boost in participation numbers from the success during our debut Test season, and from hosting the T20 World Cup earlier. This is the moment for the association to capitalise on the sport's momentum, recovering from a participation and attendance slump that has lasted for quite a few years. 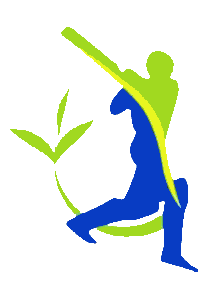 This season will mark the first time that the Green and Blue will play Liventia, perennial cricket heavyweights and currently the multiverse's number one ranked team. On top of that, they have more Test experience than any team over the past few years. Accordingly, the two largest and oldest venues in Ko-oren will be the stages where these two battles will be fought. After that, the team will travel to Teusland to take on a new team, who will be looking to advance from Candidate status to Affiliate Membership by the time our first Test stats, and hopes to obtain Associate Membership or Full Membership by the time the series is over. Best of luck to them! Darmen is the opponent in the third series. It will mark the sixth time the two teams meet, and that after only one season of play! Early in Season 9, Ko-oren visited Darmen for a loss and a draw, and then played the Final in Darmen again, for a loss, a win, and a loss to end the season. So, for the first time, Darmen will come to Ko-oren for three Tests, which will be played in the grounds of three more First Class teams: Mawryshire's yBherafon Hills, Leeshire's Leewardia Oval, and East Surbourneshire's Goledon Oval. That means that only the First Class team of West Surbourneshire will not host a Test match this season. The very last series will also be the longest one: the Green and Blue will tour the Plough Islands for four Tests, another rematch of a series that happened last season, in which the Plough Islands visited us and which resulted in three wins and a loss. It has also been confirmed that this series will include ODIs, something that the KCA is still working on for the other series. In short, we go from nine Tests in season 9 (excluding the 6 matches played in the semifinal and the final) to twelve Tests in season 10, and the focus is on exploring already existing rivalries instead of playing some of the other Full Members. As far as the scheduling of the domestic season is concerned: there will be some heavy implications there, from several grounds that cannot be used during national team Tests, to players that won't represent their teams in the three formats. List-A is played early in the season, so national teamers will miss five out of seven List-A matches. The T20 competition is played around the start of the three-Test-series against Darmen, so everyone will be available for the first few rounds, but then start disappearing as the T20 competition rolls on. The First Class matches will take place during the Teusland and Plough Island Tests, with the final two First Class rounds taking place after the last Test series has ended. That means that all players will be available for the final two matches of the domestic season, to go for one final push on the table and maybe take the Championship. GCF Test Finals have been removed from the schedule for this season, so even if Ko-oren does really well, the final two First Class rounds will not be compromised. Enjoy the upcoming season! The selectors are already working on finding the best players and the best team to challenge these formidable foes. On the very first day, the Greenblues played arguably their toughest opponents. Liventia was scheduled as early as possible, to get it out of the way. The KCA shouldn't have a lot of expectations for any good result, but it's still a big opponent to have scheduled. Well, we can't say that the result was worse than expected. It was a great start in Greencaster, the sun was up early and made for a toasty day. It wouldn't be as hot for the rest of the match, but the first day was something else. The pitch dried up, and while bouncy it provided some cracks for the bowlers to aim for for the next few days. The longer outfield still stood strong, the long grass limiting the batsmen's ability to roll the ball over the boundary. Finney and Finch got the innings underway, while Courtenay and Marsden provided the bowling for much of the first session. Courtenay got the ball to swing pretty well and nearly had Finney reach for a few balls outside off, but disciplined as he is, he stopped his bat before reaching too far out. Finch clearly didn't get the message and was sent back to the pavilion within minutes. Marsden wasn't having a good day and gave up a few bouncing boundaries, Ko-oren struggling to get the fielding right and Finney, Millbank and Hennessey got increasingly cocky in their batting. Anywhere between straight drives and cuts, they could place the ball where they wanted. Raycraft came on for his first over, to give the Liventian batsmen something completely different to worry about, when the partnership between Finney and Millbank came to an abrupt end. Millbank scored a run, turned around to make it a double, but fell right through his ankle and retired injured. Hennessey came on, and as said, he and Finney kept on scoring. Actually, they turned up the scoring somewhat and easily sent one ball per over to the boundary - long grass be damned. They were not afraid to put the ball over the infielders, and soon they reached 100 for their partnership - 1/142 overall. Raycraft did have an impact: at first he was taken all over the place, balls often flying over his head as soon as they bounced, but he found a rhythm and started putting pressure on Hennessey. Finney, then, tried to score runs late in his overs (when he faced Marsden) so he'd be the leading batsman in Raycraft's overs - but his ploy fell through. He skipped across to middle stump before Marsden had planted his foot, the Ko-orenite bowler tweaked his line ever so slightly, and Finney had no answer when the ball completely took out leg stump. The very next over, Hennessey misjudged Raycraft's length and put the ball straight into the hands of cover. 3/144, and a man down, Liventia then sent out another great partnership: Edwards and Kerr. They learned from their compatriots' mistakes and found 150 together, when Kerr got stumped out trying to catch a Raycraft straight ball before the bounce. Edwards survived the onslaught, and paired up with every batsman from there on until number 11 De Cerci. yMharwn, Chesterman and Courtenay ate through the tail-end to end the innings at 436. At this point, nothing was lost but that was a considerable innings to chase. Given Ko-oren's focus on bowling over batting, it might be an insurmountable lead like we've often seen in Season 9. Marsden prepared his troops for our first innings, instructed them to take it slow with four days left. The sun started to set, and Stevenson and Twaddle had one mission: do not give up your wicket on day 1. They progressed with an extremely slow pace but did not fail their captain's orders, and day one ended with Ko-oren at zero outs, 61 runs. Day two started with Liventia laying siege to the wicket with two pace bowlers, alternating left and right, and both playing with line and length trying to catch Stevenson and Twaddle off-guard. Swing wasn't doing much for them, and they had to resort to every other trick - but always threatened to take out either leg stump or off stump. At first, Stevenson and Twaddle just defended, but they started getting comfortable and began pushing the balls through cover or back in the vicinity of the bowler. Cuts did have some impact and Liventia started adding slips, but neither opener budged. Then, finally, a slower ball deceived Reginald Twaddle, and the inside edge fell through to Sarrin. Well over a hundred runs for the opening stand, and Ko-oren didn't look like just matching Liventia's first innings, but they looked ready to outclass them. Baldry came on, returning to the team after an inconsistent Season 9. Either he went out for under 10 runs, or he scored a century and was the hero of the week in multiple matches. Today, he showed up as latter Baldry, and Liventia even resorted to bringing in Kerr as a bowler. Stevenson had long gone at this point, and Baldry and Willis achieved their 150 together! This was too much for the visitors, who pulled out all the stops. They came out bowling very consistently at the stumps, but fell into disarray trying out all kinds of lines, lengths and styles to see whatever Willis and Baldry reacted badly to. They remained patient and picked off the particularly bad balls for fours, steadily building towards their respective centuries. The visitors regrouped, and took out Baldry and Willis surprisingly easy now: Kerr took out Baldry on the seam, and Willis looked like a fool pulling a bouncer to square leg. Trouble wasn't over for them just yet, Darknoll protected the middle order and the tail order from the barrage of pace bowling yet again, slowly but surely amassing 92 of his own. yMharwn, normally a solid addition in the middle, came out on ball one of the over versus De Cerci, swung, mistimed, walked back, for Wheelwright to come on, score a four and a single, and do the exact same thing as yMharwn in that same over. It halted the progress a bit, but the damage was done. Courtenay then stopped the slide and paired up with Darknoll. In the end, Marsden decided to retire the innings after his own wicket fell, and now Ko-oren had two days to get Liventia out - and possible score another 100 to 150 if need be. Bad news for Liventia as the second innings started: Millbank still wasn't ready to play, and they started the innings on 10 batsmen. Things went downhill quickly when Finch did in his shoulder on his second ball, and now Liventia were down to 9, down 222 runs. Cue more surprises as Finney swung to make a statement on his first ball, spotting a gap in fielding (as fielding woes continued for the hosts) but top edged it. It was a miracle how far the ball still moved in the air, shooting up and nearly hitting the ground at backward point - but firmly in the grasp of Darknoll. From then on, it wasn't getting any prettier but it was a phenomenal day for Ko-oren. Everything seemed to go right for the green and blue, and Hennessey finally put up the first runs for Liventia - at 4th in the original order. It actually messed up the bowling schedule for Ko-oren - Courtenay was taken out and just Marsden and yMharwn shared the bulk of overs early on. Hennessey survived Edwards, then seemed to gel well with Kerr, getting a partnership of exactly 50 together. Then Hennessey bared middle stump and yMharwn thanked him for it. Two overs later, Raycraft added another wicket, finishing a 5-for, sending Kerr off for getting his bat out of the way too early. Raycraft took another wicket a few overs later, then Chesterman went rampant through the lower order - also a 5-for. It can't be expected that it'll be a match like this in Willowbourne. But for now, we're going to enjoy this throughly. No changes expected for the Ko-orenites, but the LCBA will probably have something to say about this. Last edited by Ko-oren on Tue Jan 22, 2019 12:48 pm, edited 2 times in total. Hopefully the RP is good - much like Kevin and comrades, I'm a bit rusty, so it's been a bit of a slog to get this far. Good luck everyone for round two! The Plough Islands awoke from their winter slumber to begin their Test career anew, only to find struggle and hardship awaiting them against an inspired Teusland team. Kevin Laing's side had fought hard to bowl out Teusland early on the fourth day of the first Test at December Park, but had found themselves staring down an oppressive target of 351 in a little over five sessions, on a deteriorating pitch, to salvage an unlikely win in what had been a good match for the visiting bowlers and top order. Any hope of a positive result depended on a good start to the Plough Islands' second innings, but it was not to be. Edelweiss wunderkind Elias Lehner had taken 2-48 in the first innings, and almost immediately added to that total; barely three overs had passed when Matthew Davy probed at an excellently placed outswinger and got enough bat on it to see it, awkwardly but securely, into the gloves of wicketkeeper Martin Kaplan. It then fell to Shauna Weaver to accompany Graeme Holt at the crease and attempt to reverse the trajectory of the innings, and in a typically gritty innings, Holt beat away repeated attempts to york him and found gaps in the infield consistently to build what seemed to be a promising partnership. The briefest lapse in his concentration after two days of close-in fielding, though, was enough for a slower ball from the impressive Ben Trenker to squeeze between his bat and pad and send timber flying, and Holt departed for 22; ultimately his 41 runs added with Weaver would prove to be the second highest partnership of the Foxes' innings, which rapidly began to deteriorate. Angus Whittall, recalled to the team after an indifferent second half of 2018 for another chance, was out for a duck, figures of 4 and 0 causing very genuine concern for fans and selectors alike, and Laing (16) was the only other player in the top order to offer much resistance - by the time wicketkeeper Ilya Lebed came in to bat, the Plough Islands were on 145-5 and, while not quite on the brink, were becoming increasingly familiar with the concept of it. Weaver, however - perhaps sensing a lost cause in the making, and determined to go down fighting - began to aggressively farm the strike, especially after Lebed, despite a series of inspired boundaries that saw the Foxes through to tea, failed to connect cleanly with Teusland vice-captain Simon Riedl's leg spin and holed out for 31. Facing up to pace and spin alike with increasingly proletarian grit, the Swift right-hander's score first passed 70, then 80, as she stole runs and intelligently used what control she had over the flow of the game to try and wear the Edelweiss bowling attack down. The Sutton crowd caught on before long, and every end of over single or almighty heave over the rope was cheered on by Weaver's countrymen and women as though it was a wicket or milestone, and though she could not completely protect her partners - debutant Sarah Ashe, otherwise enjoying a decent game, strayed out of her crease on 9 and was stumped; Colin McCarthy lasted four overs and one boundary before departing for five; Andrew Baxter ultimately fell on 4 to a last-ball run that was always going to be hard - her own entry on the scoreboard nonetheless crept up. Even if the target was out of reach, there would still be something to celebrate, and so it proved when, with #11 Naomi Salisbury clinging on at the non-striker's end, Weaver steered Teusland captain Konrad von Sauerland (substituting for the tiring Trenker) for four beyond third man and sixteen thousand Plough Islanders rose as one to acknowledge her third Test century. It was an emotional achievement in the face of adversity, and one even the visitors could smile and congratulate; smiles that grew ever wider when, two overs later, Weaver mistimed a drive into a half-shot that looped high away from the wicket and, fortuitously, into the arms of von Sauerland, who immediately threw it back high into the air as his teammates rallied around to celebrate a debut win. For the Teus Kricket-Verband, their Test dreams had all been realised at once. From the start, things had not gone to plan for the Foxes; after a brief ceremony that served to both open the season and allow for Ashe to recieve her Test players' medal from Cde Premier Dale Piper, Teusland's openers Marc Breuer and von Sauerland came flying out of the blocks, with the captain in particular showing more of his one-day instincts against the pace of Baxter and McCarthy. They added 82 for the first wicket, forcing Laing to switch out Baxter for Davy to stem the tide, before McCarthy finally got a ball to swing away from Breuer (39) and clip his off stump. His replacement, left-hander August Tausche, provided little respite and quickly settled in to much the same effect, and after a torrid first morning it was well after lunch that the Edelweiss captain was dislodged lbw for a rapid 62. The score was still enough to set the Foxes reeling - at one point, the scorecard had read 149-1 - but this, at least, let the Plough Islands back into the game, helped by Laing's inspired introduction of Ashe who took 3-23 with her ungainly offspin. Tausche would hang on the longest, eventually nicking Davy behind for 84, but there were valuable late contributions from Noel Koller (43) and wicketkeeper Kaplan (41) as Teusland ultimately cruised to a total of 323. This could have been even larger were it not for Ashe and Salisbury, once introduced, restricting the Teuslander lower order, and a surreal three-ball spell from Baxter who - in his lone bright spot all match - had the tenacious Lehner run out for 11 off the first ball of the over, and then took out Xaver Schwarz' bails and had Trenker caught at slip in the next two. It provided something of a high for the Foxes to start their batting on, but Lehner struck almost immediately with his fourth delivery, a deceptively slowing ball that Graeme Holt could only hook to Killian Wimmer at point, and this began what Laing would later admit was "a recurring theme of them being up to speed before we could even start". Several of the Plough Islands' top order failed to get going properly before being caught out - usually by Riedl, who in taking 6-72 in the match figured out the local conditions early and well - with Davy the highest scoring of the top order on a dogged 33, and it took Laing coming out for the Foxes to get a handle on the innings. Overnight on day two and into the next morning, Laing managed to survive the Teuslander pace onslaught and with Audrey Leggett being her normal straightforward self alongside, the pair added 97 for a fifth wicket stand that bolstered their team's confidence, with Leggett in particular opening her shoulders up and seemingly scoring at will. However, both fell shortly after lunch - Laing (58) rapped on the knees by a dancing Riedl delivery and Leggett, once again, setting off too quickly on 63 despite Ilya Lebed warning there was never a run there. Ashe went for a diamond duck in her first international appearance with the bat, a very thick edge from Trenker going straight to the keeper, but Lebed and McCarthy hung on for a useful stand of 44 and staved off the end a little longer - with Lehner eventually uprooting Salisbury's leg stump to finish off the Foxes for 243. Teusland were therefore much the happier when Breuer and von Sauerland came back out just before lunch on day three, and that mood was only slightly dampened when Laing's decision to open with Salisbury immediately paid off with the left-arm spinner able to run out Breuer at the non-striker's end in her second over and shortly afterwards turned a ball across the face of the Teusland captain's bat and ultimately into Lebed's waiting gloves. This would prove to be as good as it got for the Foxes that day, as though the deteriorating pitch meant that wickets were not entirely absent, the Teusland batsmen were normally able to dig in and accumulate a significant score before they got out. Baxter was unable to replicate his first innings heroics and was forcibly switched out of the attack after going for 54 off 12 overs, with Riedl (75) and Tausche (57) the main beneficiaries. The flow of runs was stemmed somewhat as the Sutton sun set over December Park, though, and Salisbury and Weaver were able to put the brakes on the scoring, which set up the Foxes for a much better start to day four; in quick succession, Salisbury and Ashe were able to remove Kaplan and Lehner respectively, and though the last wicket pair of Schwarz and Trenker held on for another half hour, the former eventually skied a McCarthy bouncer in panic and Ashe pounced to set up the fourth innings drama that ensued. In post-mortem, coach Lourens Hendricks returned to his pre-game comments about the need for practice; "it was very rough, we had our good moments but Teusland were in far better shape [...] you have to have these experiences to know what you need to improve, y'know? We need to rebuild that mental toughness and banish those nerves", though the normally jovial coach did allow that "Ag...we could have been a lot closer today, we really needed more runs at the top of the order". Laing generally agreed with his coach, and told this author "I hope for everybody's sake we can find another level inside us for the next Test. I know what we can all do when we are at our very best, and we need to believe that we can do that more often and more consistently", while fourth-innings hero Weaver opined that "I never felt like there was any lack of will or support, we were all just mentally and physically worn down. I do not know how I held on for that century, I am glad I gave us something to be happy about, but we all need more strength". In truth, the Plough Islands had been left chasing their own tails the entire match, and while this had not been entirely unexpected, and the thousands of fans who remained in the ground to applaud their comrades were not entirely disappointed, it was no less painful when the end came. Teusland had more than earned their victory, having played patiently and positively, and in the much-vaunted Lehner have a Test star in the making - a fact which their loyal travelling fans had become increasingly aware and appreciative of. Nonetheless, there will be room for improvement beyond that which simply comes with practice and match fitness, and with the action moving to Highrock's spin friendly grass, Hendricks strongly hinted he was looking at more resilient batting options to bolster the Foxes' middle order. If he was correct in his observations, the next Test should see the Foxes provide a better account of themselves - but today's performance was a bitter reminder that, while they have come extremely far since their own debut against Lisander, Laing's side still have a long way to go to fulfil their potential. While there is little doubt that they will eventually succeed, a bottomless well of support from their comrades and countrymen, and great individual determination - as proven by Weaver - Test cricket is, ultimately, about many more factors than just those. The eldest son of Plough Islands Air Force consultant Denis Fedorov and his wife Irina - both immigrants of Soviet descent who arrived as part of the Vital Skills program in the late 1970s - Oleg Denisovich Fedorov gained his more familiar appellation in primary school; the Russian name 'Олег', derived from pagan Old Norse, is pronounced very similarly to the English 'Alec', and within a predominantly Anglophone friendship group, the nickname rapidly stuck. Raised in Eleuthera, where he became fast friends with future New Dalmatia and Plough Islands teammate Ilya Lebed, Alec attended the Janne Elkkonen High School in Highrock where he gained his first competitive experience of cricket in the school team; initially a rapid fire batsman, he found another level in his playing after being fitted for corrective glasses at 16, and his newfound ability to see the ball as it was released allowed him to play with more patience. This led to him exploring cricket outside of school; going in the opposite direction conceptually, and developing an extremely cautious, technical approach that nonetheless allowed him to accumulate high scores and worked particularly well against spin - useful on the grippy Plough Islander pitches - he rose through the ranks of the New Dalmatian Cricket Board age group sides and made his first class debut as a spindly twenty year old (scoring 38 and 4) against Redcliff in 2013. 2018 treated Alec well; with newfound international commitments taking Lebed and Colin McCarthy out of the New Dalmatia team during the latter half of the season, he found himself anchoring the middle order and averaged 44.30 in the Harrison Cup as he focused solely on the long form of the game. Though his average strike rate at just over 27 was among the slowest in the competition, the methodical approach with which he went about scoring brought him to the attention of the Plough Islands Cricket Association, and with the second Test against Teusland being played on his home ground in Highrock, the selectors clearly felt he could bring stability and confidence to the team. Alec has a diploma in wireless networking from the Plough Islands Technical College, and when not playing or training is a sysadmin for the Commonwealth government's offices in New Dalmatia. He lives with his parents in Eleuthera. New Dalmatia, despite the name, bears only similarity in appearance to 'old' Dalmatia with its rugged, steep coastline and sharp cliffs; the underlying mechanics are very different, with the Plough Islands' bedrock being predominantly granite rather than Croatia's limestone. This does not detract from the beauty of the cliffs as they are, though; if anything, with granite being far tougher, it makes them less prone to erosion by the waves and allows you to observe them from very close. You could almost pick any spot here or on New Hibernia for this, but this centre, run by the University of the Plough Islands, offers guided tours with geologists who explain the mechanics behind the majesty. Most country's operational nuclear weapons headquarters don't allow visitor access - or, for that matter, have cricket fields - but the Plough Islands are no ordinary country, and PIA Ishtar, located at the other end of the New Dalmatian isthmus, is more than just an air base; as the home of most of the small Plough Islander aerospace industry, it has most of the fundamentals of a small town, including said cricket field. Officially the Plough Islands Air Force Welfare Ground, 'Meteor Park' hosts the Air Force's Sutcliffe Shield team, and gains its popular name from its location near both the base entrance and its heritage section, meaning at any one time there are normally at least two venerable Gloster Meteor jet fighters, the PIA's first, keeping a watchful eye on proceedings. Last edited by The Plough Islands on Tue Jan 22, 2019 5:36 pm, edited 3 times in total. Reigning World Champions' lose season opener! It's time to panic just like Darmen's tail order in the first innings! Name      Overs M  Runs Wickets Econ. We're kidding of course. Please don't panic. Apox is a good team, and losing to them in the opening match of the Test season is no reason for Darmeni fans to plunge into full scale panic. The Darmeni tail order already did that for you, as they batted with reckless abandon normally reserved for T20 situations after the fifth wicket fell with Darmen on only 115. Ionathan Odell fell one run short of his half-century, and may have made it even further if only he had been able to find a reliable partner. Just 10 overs into the second session of the day, Myers was bowled clean out by Roy Hamilton-Randall. Whatever captain Sigmund Winter might have said to the team during the lunch break, clearly didn't work. Whatever Winter might have said during the innings break must've had more of an impact, as the team took the field with confidece. Spinner Dorian Myers was particularly motivated, taking four wickets for only 29 runs, as the Apoxians lasted only until lunch on the second day. Darmen's openers failed to get going, Vinnie Acker struggled to get a read on the ball, Arrowsmith taking an edged ball in the slips for the opening wicket of the innings. Theudofrid Milligan was bowled after facing just two deliveries, and Winter was caught lbw on the next delivery. Ellar Ready denied Hamilton-Randall his hat-trick, smashing Hamilton-Randall's full toss to the boundary for four. Three fours and a maximum later, Ready was on 44 but would go no futher, Muldoney easily catching Ready's questionable reverse sweep. The tail order would be more patient in the second innings, all-rounder Domenic Gardenar's 57 from 113 not out being particularly impressive. A partnership with Alf Dickenson looked promising, but a well bowled Gallegos delivery had Dickenson all mixed up and the Darmeni walked off the pitch having been given out due to lbw. Apox trailed by 207, but given the totals from the three previous innings' play, both teams had equal confidence in victory. Rain harassed the players throughout the third day, at one point the teams had returned to play following an hour long delay only to have to walk off again without the bowling of a single ball as another shower materialized overhead. Hamish Gaaraayi came extremely close to scoring a rare century in Tempala, but his boundary four off of Gardenar secured victory for the visitors before he could reach the mark. The Apoxian victory is their third against Darmen in four all-time matches, and makes Darmen's defense of its World Championship just a tiny bit harder. But there's still no reason to panic. Darmen lost its opening test last season too, and its only a matter of time before captain Sigmund Winter has his players back in the groove. Winter has confirmed that he will field an unchanged side for the second test in Scott City. Darmen has yet to lose a match at the Capital Stadium. It was a debut to remember as Teusland’s national Test cricket side won its first-ever international match against over the host Plough Islands, winning by 139 runs. “It’d be really nice to get off to a strong start here,” commented the skipper Konrad von Sauerland before the match. “Once we get comfortable out there, get the initial nerves out, I think we’re going to have a great couple days and hopefully get off on the best start possible.” The mood within the Teus camp heading into the first Test was quite optimistic, with the players looking forward to the match and season ahead: “It’s going to be a great experience, and if we can capitalize on that immediately, great, if not, we pick ourselves up and keep going,” commented Elias Vahlen. Travelling supporters have been a common sight at national hockey and football team matches, and that trend was continued with hundreds of Teus cricket fans converging on December Park for the nation’s historic first test. “This is a major moment in our history, and I wasn’t going to miss it for anything,” said one fan in attendance. “It’d be special if we can pull out a win, but it certainly won’t be easy and our job is to back them all the way.” The Edelweiss could certainly count on their fans for support, and the supporters remained on top form all four days. Those travelling fans were given much to smile about early on in Teusland’s first innings. Marc Breuer hit for an opening 39, before the captain Konrad von Sauerland came up with a strong 62. August Tausche did a lot of damage as well for Teusland early on, taking a score of 84 before going down to an Ilya Lebed catch. Things were going well for Teusland early in the first innings, and the top of the order was making its presence felt. Strong bowling from the Plough Islands, however, kept the Edelweiss honest. Sarah Ashe took down Kilian Wimmer after the latter had managed only 1 run, before eventually also getting the better of Noel Koller, who earned a very respectable 43. Andrew Baxter had his moment as well, a strong three-ball set that saw Elias Lehner run out for 11 before he dismissed Xaver Schwarz and Ben Trenker on 0 each. Teusland’s first innings total, after a 121.3-over innings, mounted to 323. Well played by the Edelweiss, and now the task shifted to the bowlers to get the job done. An exceptional start by the Edelweiss bowling attack began with Elias Lehner. Lehner, facing down the dangerous Graeme Holt, managed to dismiss him without allowing the Plough Islander a single run. The real star of the innings, however, was Simon Riedl. The vice captain’s dangerous leg spin seemed to put the Plough Islands batters right where he wanted them, and he managed to take a total of 4 wickets in the innings. Two of those came early on, as he sent Matthew Davy and Angus Whittall away without allowing them much damage. It was the captain to the rescue for the Plough Islands, however, as Kevin Laing managed to put his side back on track with a strong score of 58. Eventually, however, Riedl got the better of him as well, and the Edelweiss seemed to be adapting well in their first international. Audrey Leggett was run out after a skillful 63, but Ben Trenker did well to see Ilya Lebed and Sarah Ashe off. Early on day 3 of the Test, it was Elias Lehner that struck again and took down Naomi Salisbury. The Plough Islands finished on 243 after 58 overs, and it was Teusland’s turn again. The openers, who had been so strong in the first innings, saw their bats run cold in the second. Marc Breuer was dismissed with but one run to his name, perhaps finding himself a little too ambitious and being run out. It wasn’t too long after that before Ilya Lebed made a great catch to see Konrad von Sauerland out as well; Breuer and von Sauerland combining for 13 runs when they had earned 101 on day 1. There was a little worry amongst the supporters and perhaps even the players that reality was beginning to set in. The cool and collected August Tausche, however, put those fears to rest. A strong half century from him seemed to lift the spirits of the Edelweiss batters, and those who came after him did their part. Kilian Wimmer made his mark on the match with a very much needed score of 42, and Noel Koller’s 32 was another sign the Edelweiss had settled in. Then it was Simon Riedl, who proved his bowling magic would continue into his batting. A score of 75 runs for Riedl, and the travelling supporters rose to acknowledge the vice captain’s contribution when he was finally dismissed by Matthew Davy. The runs seemed to dry up after Riedl, however, with the short-lived pair of Kaplan and Lehner earning only 1 run between them, off the bat of Elias Lehner. Xaver Schwarz and Ben Trenker were a more dynamic duo, however, and lasted a bit longer, Schwarz ending on 14 and Trenker 8. That put Teusland in the books with a score of 270 through 84.1 overs, and a total of 593. The Plough Islands needed to have a big final innings to come out on top, and with the exception of one Shauna Weaver, that was not the case. Graeme Holt managed 22 runs, certainly better than his first innings total of 0, but scores of 5 from Matthew Davy and a 0 from Angus Whittall weren’t helping the cause. Kevin Laing managed 16 runs before his dismissal at the hands of Xaver Schwarz, while Simon Riedl picked up two more wickets of his own with the end of the match coming for Ilya Lebed and Sarah Ashe. All the while, Shauna Weaver continued to pick up runs and seemed to be immune to whatever the Teus bowlers had in store for her. Her score continued to rise higher and higher, becoming a real problem for the Edelweiss. Those around her, however, could not match her skill and willpower on the day. Colin McCarthy was out after 5 runs, while Andrew Baxter’s end came after managing 4 runs. The Edelweiss were now one wicket away from a first-ever Test cricket victory, while Weaver was chasing her own accolade, a century of runs. Weaver would get her deserved achievement, hitting off Konrad von Sauerland for a four-run ball putting her over the top. The Plough Islands fans rightfully applauded their hero of the day, and the Teus travelling support joined them in acknowledging the great individual performance. Two overs later, Teusland would earn its own achievement: von Sauerland catching a ball to finally end Weaver’s day. That meant the final wicket, and that meant a first-ever victory for Teusland on the international stage. The players and supporters thoroughly enjoyed that one, and the jubilant celebration showed just what the win meant for the team and nation. That second test will see the Edelweiss face the Plough Islands again, with the hosts looking for a stronger performance this time out and the visitors hoping to maintain their excellent form from the opener. The series shifts away from the sure to be remembered December Park and the second test will be played at the Highrock Athletic Club grounds. Highrock, located on the eastern coast of the Islands, has a chilly, moist seaside climate that will surely remind Teus cricketers of our own Sankt Kunigunde or Sankt Ludolph. A pitch that favours bowlers, Highrock should be the site of a very intriguing second test between Teusland and The Plough Islands. Greencaster, KO-OREN-- It's happened again. It's happened again. Liventia have collapsed for 70 (odd) runs in just about 20 overs for the second time in under three seasons. This time, they had some sort of an excuse - reduced to eight men in the second innings through injury - but the cost of this defeat, by an innings and 149 runs to Ko-oren, will have far-reaching consequences. Already, the most obvious has come to the fore. Having overseen the shocking collapse at Directus to Eura two seasons ago and again here at Greencaster, captain Ollie Kerr has resigned the post, leaving 27-year-old vice-captain Dave Edwards as the new man in charge. Edwards' task for the second and final Test at the Royal Oval in Willowbourne is made tougher with the expected absence of both Peter Finch John Millbank. Millbank sustained an ankle injury, believed to be a ligament sprain, running between the wickets in the first innings, while Finch dislocated his shoulder opening the batting in the second innings. Both men's places in the side for the four-Test home series against Darmen are also in doubt. With just two openers selected for the tour to Ko-oren, Edwards will likely have to ask veteran number four Dylan Hennessey to open alongside Max Finney. Hennessey, who has previously batted at the top of the order with Finney in Twenty20 cricket, has rarely opened in Test matches. Moving Hennessey up the order will also cause complications in the middle order, with number three Millbank set to miss a significant amount of time. Edwards is likely to bat at number three, with Philippe Bérenger and Eddie Reynolds likely to come in to the side. A new permanent captain and vice-captain will be selected after the Willowbourne Test, where Liventia will aim to salvage a 1-1 draw from the series. The Busoga Islands have defeated the touring Sajnur side by four wickets in front of rousing home support. The Busogan batsmen played strongly against the Sajnuran bowling attack, with their top order scoring very quickly, particularly off Burovin. The Sajnuran batsmen were, sadly, unable to keep up, and were plagued with a consistent loss of wickets rendering them unable to put sufficient runs on the board. Indeed, the 2nd innings required the tail's assistance to break 250 and force an actual chase by the Busogans. Sajnur's batting was mostly disappointing, with only Gabby Fiume, Tomas Piqa, and all-rounder Toljo Jorse breaking 50 in either innings. Fiume was forced to carry her bat in the first innings as her teammates collapsed around her. Whether they batted fast or slow, they couldn't stay in for long and the gritty opener ended up facing more than half of the deliveries in Sajnur's first innings. For Fiume personally, the match was excellent, with a century in the first innings and a half century in the second, and if it is a sign of things to come, the young opener will be an enormous asset to Sajnuran cricket. She will, however, be sorely unamused with her fellow batsmen. Captain Piqa contributed with 70 in the second innings to stabilise Sajnur after the quick losses of Sjoring and Zulje, but no such partnership came in the first innings from anyone in support of Fiume, although his 30 was still far better than nothing, or indeed most of his teammates. The second innings could have ended up even worse than the first after Piqa was removed, but Jorse proved effective at shepherding the tail, her efforts dragging the team to 278, her unbeaten 63 proving to be a cherry with no victory cake to sit on top of. The Sajnuran pace trio saw varying success in the match. Alan Tijer had a good performance with the ball, extracting plenty of bounce from the pitch and taking match figures of 5-113, but was expensive in the second innings. Liam Saovin was a consistent bowler, his accuracy in line and length preventing the opposition batsmen from scoring too many boundaries, but he saw little real success, taking just one wicket for figures of 1-108. Nikolas Burovin, sadly, had a poor Test debut, with wayward bowling resulting in many wides and boundaries and a failure to trouble the batsmen. Figures of 1-109 prove to be disappointing, particularly at a match economy rate of 4.81. The spin pairing of Toljo Jorse and Karim Haton, however, had a better day than the pace attack. Jorse in particular was a constant source of trouble for the Busogan lineup, taking five wickets and conceding less than three runs an over. Her flighty off-spin regularly deceived, with whoever was unlucky enough to be facing her being uncertain how high it would bounce, and how far it would spin, with three Busogan clean bowled by viciously spinning cherries, including a doosra, and one more stumped by a faster straight one. Match figures of 5-79 are great start to her Test career, and in addition to her unbeaten half century makes for a wonderful debut, albeit one which would have been made much better by victory. Haton also had a decent day with the ball, extracting plenty of spin himself, although he was somewhat expensive in Busoga's second innings. Nevertheless, figures of 4-95 shouldn't dishearten the 23 year old, and he will have plenty of time to become a world class spinner over the coming years. Overall, Sajnur was relatively competitive, but this defeat is still a disappointment for a team which had high hopes. Here's hoping they bounce back well to win the second Test and come away from this tour with something big to celebrate. Last edited by Sajnur on Fri Jan 25, 2019 6:56 am, edited 3 times in total. then they will go back into the active ranks. Due to excellent RPing, Sajnur & Teusland have been granted associate membership, and so scheduling restrictions have been lifted on them. The Busoga Islands has affiliate membership, but if they RP again to a reasonable standard in any games scheduled (they have three more games able to be scheduled) then they too will be granted associate membership and have scheduling resrictions lifted. Last edited by NS Global Cricket Federation on Fri Jan 25, 2019 3:10 am, edited 3 times in total. OOC: Will try to get some commentary up for this at some point.